Is This Joystick-Controlled Hovercraft the Future of Commuting? And while one of those did come to fruition, another — flying cars, incredibly — is inching closer and closer to reality. 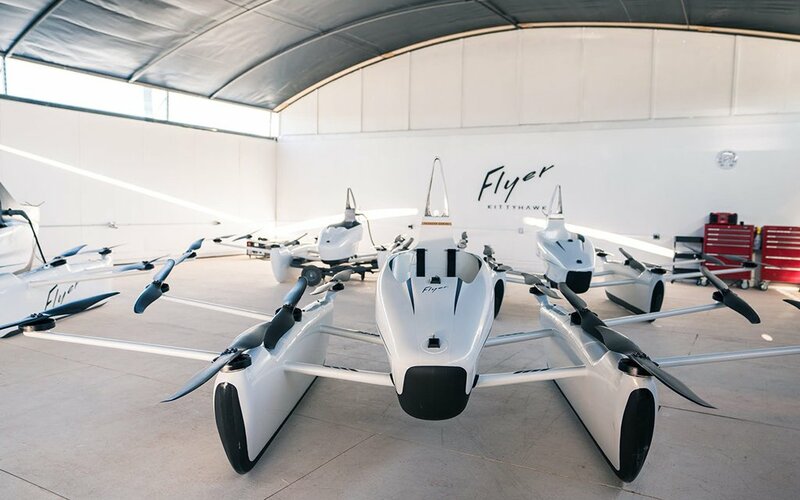 Reintroducing Flyer, the golden child of Silicon Valley transportation upstart Kitty Hawk. It’s a 10-motor, two-joystick hovercraft, and its inventors believe it’ll be the future of local leisure travel and morning commuting. 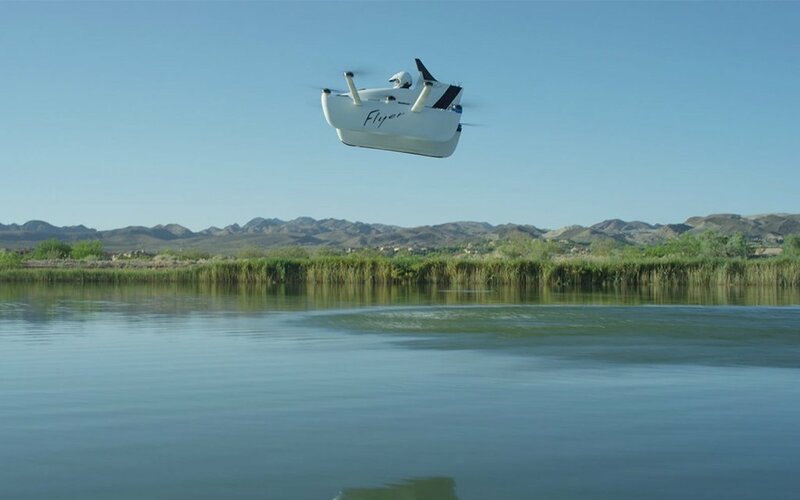 You might remember the name and concept from late spring of last year, when Google cofounder Larry Page (who backs Kitty Hawk, along with Google X founder Sebastian Thrun) took the then-prototype out for a spin over water. We eloquently dubbed it a “boat-car thing.” It’s trended way more “car” in the months since. The shape still resembles a seaplane pontoon, but while the early version appeared reliant on water (with large netting and hydrofoil-esque mobility), the current model is flying over water only as a safety precaution. 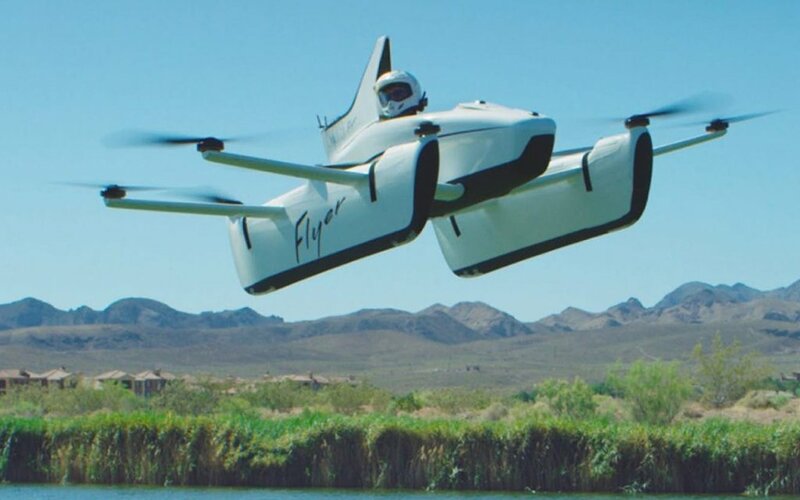 CNN reporters recently tested a model and were limited to a top speed of 6 MPH and overwater flight, though Sebastian Thrun thinks Flyer could one day reach 100. Experienced flyers already zip around at 20. And the best selling point yet? “Experienced” means very little with the Flyer. 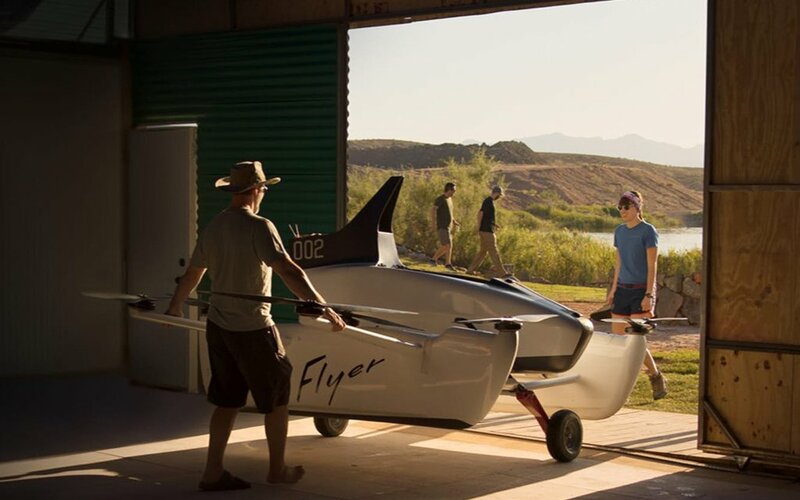 It takes just one 90-minute session to learn how to expertly maneuver and land the lightweight craft, which, assuming the next few years go smoothly (regulation, prototype hiccups, pricing), means we might soon be flying over the freeways instead of sitting in ‘em. Follow the link here to have the opportunity to be invited to purchase a Flyer, if and when it finally arrives. And as for Marty McFly’s hoverboard? Don’t hold your breath.